Between our experienced technicians and wide array of professional services, it’s easy to see why so many homes and businesses are choosing Kwater for their water needs. Is your home suffering from bad water odor or taste? Is your business wasting hundreds of dollars to clean and maintain fixtures? Hard water is a common problem for thousands of people, especially in Florida and Nevada. Experience the Kinetico difference — your source for home and commercial water treatment systems, the cleanest, greenest and most efficient water systems. Love my new water system. The difference in the water is phenomenal. And the customer service is awesome as well. 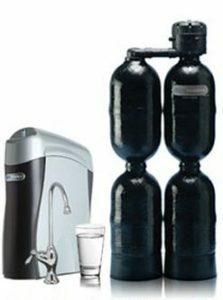 The Kinetico K5 Drinking Water Station removes more contaminants than any other system and our home water systems are cleverly engineered to solve virtually any water problem. They produce luxuriously soft water and worry-free drinking water throughout your home.